As industry leaders, find out how Dr. Stewart and his team get patients back to their active lives. Dr. Stewart eases years of pain in hips and knees with MakoTM robotic-arm assisted procedures. With expertise in the Direct Anterior Approach procedure, Dr. Stewart provides an excellent surgery option. Hip Arthroplasty is one of Dr. Stewart’s biggest strengths in the field of medicine. Start feeling better fast. If your hip pain keeps resurfacing Dr. Stewart is proven to reduce and repair through his innovative strategies. Do you have questions for Dr. Stewart and his staff? Feel free to ask! We look forward to hearing from you. 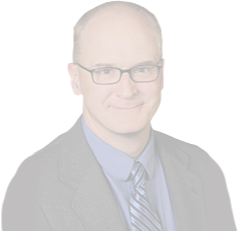 Orthopedic Surgeon Dr. Nathaniel Stewart joined Chippewa Valley Orthopedics and Sports Medicine Clinic in 2003. He is grateful for the trust patients and referring physicians have given him over these years and enjoys providing exceptional orthopedic care.